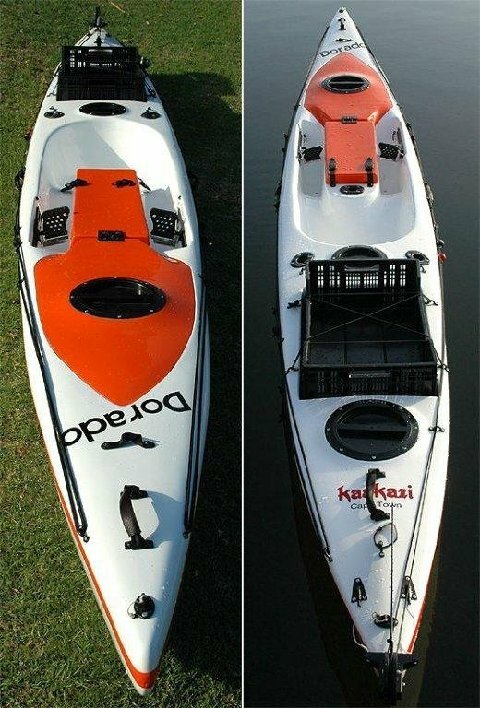 Kaskazi Dorado II - Venture Sport, Inc. 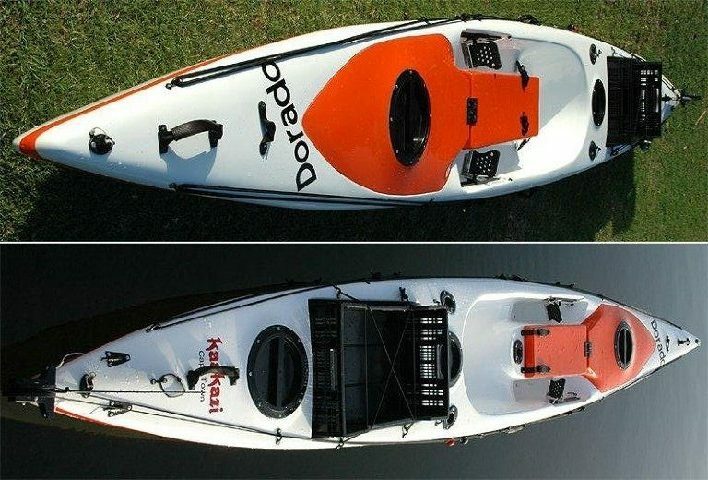 The Kaskazi Dorado II specialty fishing kayak is a significant review of the Dorado: The kayak is 50 mm longer increasing the length of the cockpit to make it more spacious. The foot wells have been widened to accommodate guys with big calves, and the fish box has been extended right up to the bow. The fish box has a capacity of 80L and can accommodate a 2 m rod.